In 2019, Capital Region Water will be investing $40 million in capital improvement projects to renew aging infrastructure, improve local water quality, and provide reliable service for current and future generations. Capital improvement projects are projects that improve infrastructure or assets like pipes, treatment equipment, or green infrastructure. They are typically large construction projects that benefit customers for many years. 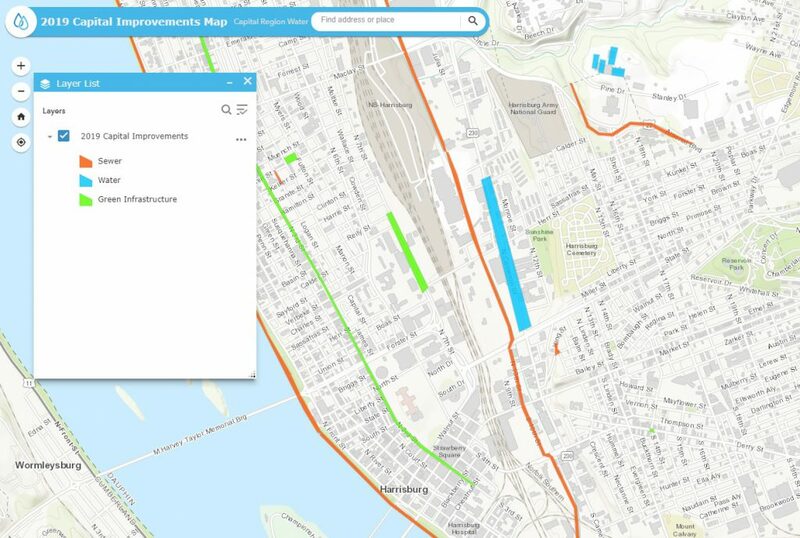 Click the image below to view an interactive map of 2019 drinking water, wastewater, and green infrastructure projects. Read more each of Capital Region Water’s 2019 capital improvement projects here.